1).Who is the Director of Agni-5 Project? 2).Serena Williams has won her_______ Grand Slam Title, recently. 3).As per RBI’s reports what is the rank of India in Furnishing Credit Information? 4).Which country is at number one position in Credit Suisse Emerging Consumer Scorecard 2015? 5).The Change in Base year for GDP has reduced the gap between the way India calculates GDP and the methodology used by_______. 6).What is the range of Agni-5? 7).Which of the following bank has launched banking service on Twitter? 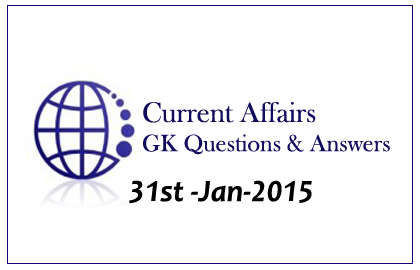 8).United Nations general assembly has declared the year 2015 as year of_____. 9).Who is the author of the book- “The Eloquent Brush”? 10).Who is the chairman of the committee formed to ensure major reforms in the practice and procedure of BCCI?